How Do I? and How To? Web pages and other resources for research assistance. If you find yourself asking questions such as "how many?" you are looking for a statistic. A statistic is a numerical fact. They are often found in tables or reported as numbers or percentages in an article. Data is gathered as a result of a study in order to help understand something and to gain deeper knowledge. Data may be composed of numbers (quantitative) or observations (qualitative). Data is often stored in datasets that can be downloaded and then studied with the help of software packages such as SPSS, SASS, Excel or Nvivo. source: Is the source of the statistic identifiable? is the source reliable? dates: Do the statistics cover the dates necessary for your research? If you are relying on a single statistic from an article, can you verify the date which the source material for which that statistic was collected? measurements: Are they measuring what you expect them to measure, and in a unit that makes sense? If you have to compare statistics, are the measures the same, or can they be converted to the same units without changing their meaning? Subject Guides - individual subjects guides often provide links to datasets and webpages that provide data and statistics relevant to the area Some of these more statistic and data heavy guides are included in the related guides section. Reference materials - check with the Research Help Desk for assistance in finding statistics in a reference book. These are often arranged around general topics and statistics can often be quickly located. Indexes and abstracts statistical publications from the U.S. government from 1973, state and private sources from 1980, and documents from international organizations from 1983. 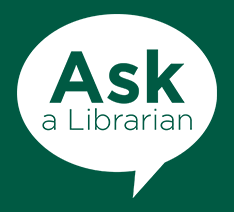 For help, please see the Proquest libguide. Includes the entire US Decennial Census history from 1790 to 2010, all annual updates from the American Community Survey, the Religious Congregations and Membership Study from 1980 to 2000, and selected election and carbon emissions data. Users can customize, save, print, export and email maps and reports. The site is updated three times annually. Includes only state and county data through 1930. Includes tracts 1940 to present and block groups 1980 to present. Does not include STF 1 block level data. Or view all Data & Statistics databases available at the Libraries.